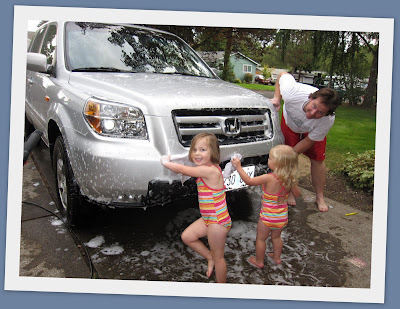 Kathrine and Addison were so nice enough to help daddy clean the car. Man the car was sure dirty with bugs after our trip to Utah for Grandpa Young's funeral. 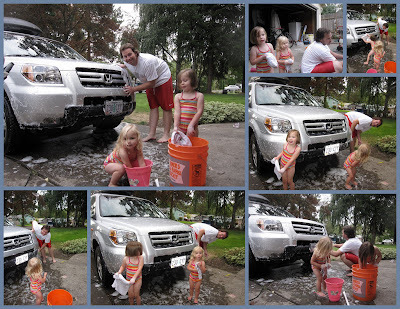 The girls are always willing to help when there is water involve.